We trust that your time at Park Meadows Cosmetic Surgery will be positive and overall, rewarding. We make every effort to promote specials that will be helpful to our patients, and as we partner with industry representatives, we can carry their specials, too. We find that our loyalty to a few products allows us to receive better discounts and pass them on to you! Here are the specials we are currently offering in our office. Feel free to call our office at (720) 457- 4471 to make sure you’re not missing out on any other great specials! 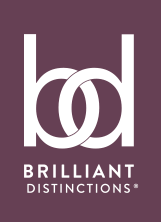 Did you know you can shop online at the Brilliant Distinctions® Mall and earn points on every purchase? Buy from many of your favorite retailers: As your gift list gets shorter, your savings on future BD treatments and products get bigger! Redeem your points for savings on your next treatment or on other select treatments that your doctor may determine are right for you.